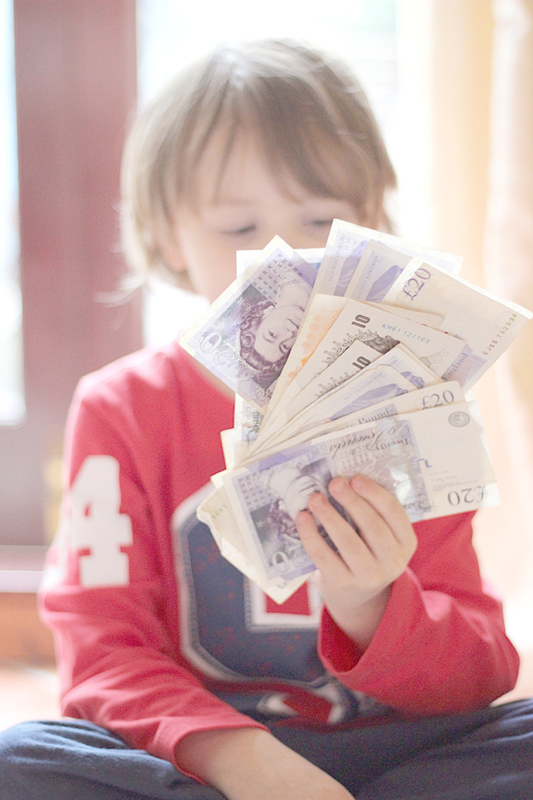 How do you let your children deal with money? Do they get pocket money or nothing at all? Me and Gary are opposites when it comes to our own ways of handling money. He's a bit like I was before I had kids; if you have money, spend it. Whereas now I get a thrill by seeing it growing. Especially physically. I like to touch it and SEE it, not just as a number in cyberspace. Jesse doesn't get pocket money and that will never change. He gets it by helping out at home, with cleaning for instance. I can not see how you teach your children how to act with money if they think it comes out of the endless bank of mum and dad. Life doesn't work like that, you need to work for your money. I give him £1 when he cleans or 50p if he starts but give up before I say it's finished. But normally I do buy most things for him, as I want him to get excited about saving. This month, however, he bought two games for his Xbox as that's something I don't think he needs, and that came out of his wallet. If it is something he wants then he sets about cleaning, washing, helping out as he now associates money with hard work. Exactly like it should be. He's not a cheapskate though. He always offer his money to us if we need to buy things. Last week he told Gary he could have his money to buy me some flowers :) Obviously, that wouldn't work as all money Jesse owns originally came from me, I'm not buying myself those flowers! But the thoughts are always nice. It's a tough one, I always struggle, I often end up buying stuff when they have money, but we only really give money to the eldest teenager and then it is a pre-paid card for safety. That's a great strategy! And yes it still feels better buying them things too :D I can't resist.